Unexpectedly, Google Plus surpassed Twitter in popularity in a very short time after its launch. Now, the top 3 social media sites are Facebook, Google+ and Twitter. Millions of users and online marketers came to know the significance of Google+ features and capabilities since it is a Google’s social media site. From the point of SEO, social signals, branding and online visibility, you must use Google+ to grow your dream business. But, how to learn its features? How to socialize your business with it effectively and profitably? How to build tons of traffic on your site from Google+? Read these recommended books about Google+ and Google+ marketing. 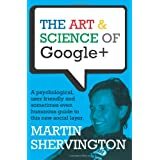 From the best books on Google Plus marketing, you’ll learn top secrets and practices to popularize your business very quickly. Click on the book titles to buy and learn more about the books. This book is an easy read with easy-to-follow steps to develop brand recognition and 1000s of traffic on your website. 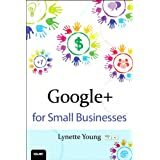 Read this book and start your Google+ marketing quickly and effectively. 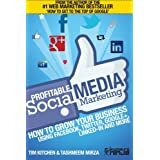 From this book, learn all about the benefits of social media marketing and how to use Google+ to Identify and find customers Generate and capture new leads, Drive traffic to your website, Increase sales conversions and build your brand. Rea this book and find how. See how a reader says about this book. The author says most social media books have focused on big brand activity. The focus on small and medium sized businesses gives ‘Profitable Social Media Marketing’ a new angle. Tips, strategies and profitable shortcuts for entrepreneur-run businesses give these businesses a chance to compete in competitive markets where time and budget is of the essence. 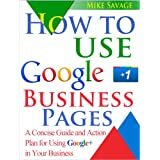 Read this book and get the wonderful tips and techniques to expand your business. The authors of the book claims that this book is the most and comprehensive book in the market. Yes, the book has some extraordinary works. Read it. There are many books about social media. But the authors say most of them are missing the part of ‘profitable’. In this book, every social media campaign tries to turn into money in an entirely new way. Read the book and apply the strategies in the book and make your efforts profitable. 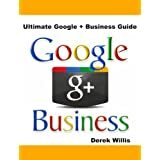 This book is about using Google+ pages for your business. 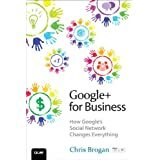 The book includes tips to use Google+ pages, add page value, increase brand awareness through Google+ pages. The approach of this book is meant for the beginners. 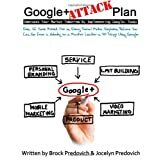 The author presents great techniques to attract people to your business in the complete guide. Brogan tells about the business opportunities in the hottest new Google+ media. The author will teach you how to get great results fast. 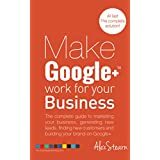 With this book, you can use Google+ for business promotion, community building, referrals and more. Learn about Circles and Hangouts to generate customers and cash. This book is a do-it-yourself guide. Discover how to listen, search, and scope out your Google+ environment…connect and network with Circles…create, teach, shorten sales cycles, and close business with Hangouts…collaborate on Pages to make your offerings even more valuable…build a winning business profile…use Events…leverage Google+ integration with Google Search…add value to your client’s day…attract qualified referrals…and a whole lot more. Read these recommended books about Google+ and Google+ marketing. 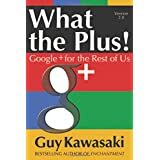 From the best books on Google Plus marketing, you’ll learn top secrets and practices to popularize your business very quickly.